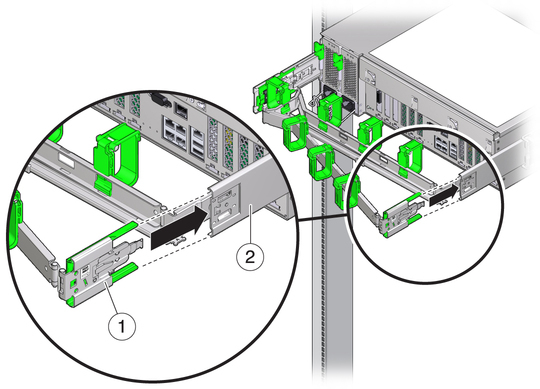 The CMA is an optional assembly that you can use to route the server cables in the rack. Take the CMA to the back of the equipment rack and ensure that you have adequate room to work around the back of the server. Note - References to “left” or “right” in this procedure assume that you are facing the back of the equipment rack. Remove tape to separate the parts of the CMA. Insert the CMA mounting bracket connector into the right slide rail until the connector locks into place with an audible click. Insert the right CMA slide rail connector into the right slide rail assembly until the connector locks into place with an audible click. Insert the left CMA slide rail connector into the left slide rail assembly until the connector locks into place with an audible click. 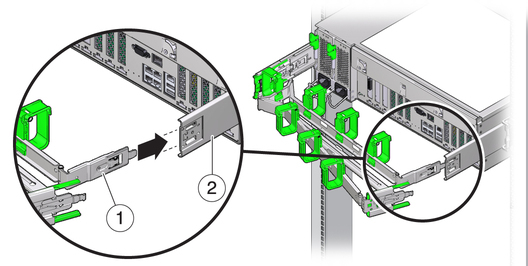 Install and route cables to your server, as required. Note - Instructions for installing the server cables are provided in Connecting Cables. If required, attach the cable hooks and loop straps to the CMA, and press the hooks and straps into place to secure the cables. Note - Cable hooks and loop straps are preinstalled on the CMA. 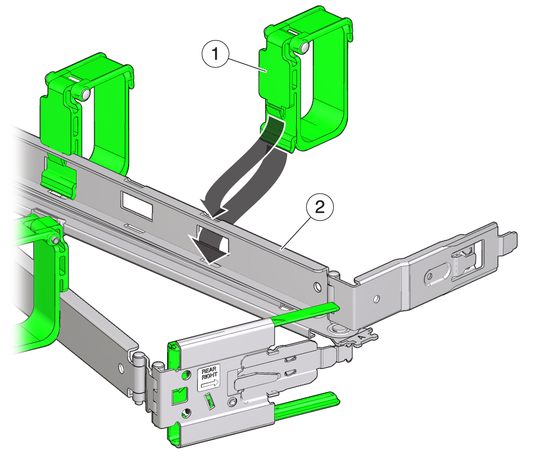 Perform the procedure in this step if you need to reinstall cable hooks and straps on the CMA. 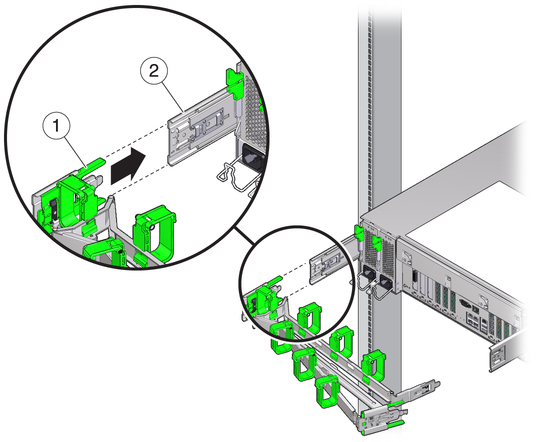 For best results, place three cable straps, evenly spaced, on the rear-facing side of the CMA and three cable straps on the side of the CMA nearest the server.